Well, you saw it on the cover, and I touched base on it in Editor’s Notes… The Prairie Land Buzz Magazine has partnered with RiverBender.com, and we couldn’t be more excited! First, let me inform you that we have chosen the non-profit we will be supporting. It was a hard choice, as there are so many worthy causes out there. We tried to consider what would have the greatest impact, and on the largest number of people. We chose the RiverBender.com Community Center. The RiverBender.com Community Center maintains a safe place for teens to hang out with their friends and provides the opportunity to make new ones in a place that is free from the outside influence of alcohol, drugs, and tobacco. The Center’s focus and No. 1 goal is to provide youths the chance to be themselves while experimenting with new ideas, new technology, games, and through social, educational, and entertaining activities. Our first big fundraiser, featuring kids’ magician Chef Bananas, will be on Sunday, May 5. We will have more information about that, including a story on the center itself, next month. The owner of RiverBender.com, John Hentrich, was the one to give Tony and I a tour of the center. John and I have spoken several times over the years about a possible partnership between the two businesses, and while we were there touring the community center and finalizing plans for the fundraiser, we were also able to finalize our plans for a partnership between our two media companies; a deal that we both are very excited about. The RiverBender.com Community Center and RiverBender.com are not the same thing, however. Those in the River Bend area are most likely already familiar with RiverBender.com, but for those of you who are not, RiverBender.com has become the leading online news source in the Metro East (River Bend) area for the past 13 years – though strictly online and digital. 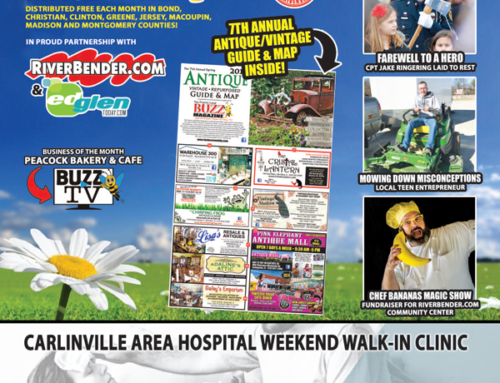 River Bender.com and it’s sister site EdGlen Today.com (serving Edwardsville & Glen Carbon), feature News, Sports, Entertainment, Live & On-Demand Video, Obits, Real Estate, Autos, Classifieds, Events, Shop-ping, and much more. We feel that combining some of our services will make both of our businesses function more effectively, as well as, allow us to offer more complete marketing options to our customers. What does this partnership mean for clients? RiverBender.com clients have always had the opportunity to advertise in The Buzz, but we just have never had the staff to cover that area adequately. Businesses in the Metro East area will now be visited more frequently, to keep them aware of the advertising options available with the magazine, allowing them to reap the results the majority of our advertisers boast about. Clients of the magazine now have several additional options to improve their marketing strategies with a bigger and better digital presence. “Besides website services, RiverBender has a whole suite of targeted digital online marketing products, that will now be made available to Buzz customers,” Hentrich said. What does this partnership mean for the readers? More stories from more areas. That’s what the The Buzz is all about, and that’s what the readers love. Nothing has changed much for the readers except The Buzz is bigger, and better. We also have a new and improved website, thanks to the RiverBender.com team, that is easy to maneuver and has a lot of new features.You’re going to love it. 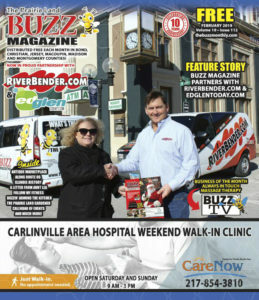 Make sure you check out www.thebuzzmonthly.com (and also www.RiverBender.com)! We will be adding more distribution points and increasing our circulation for the magazine as well. Stay tuned on that. 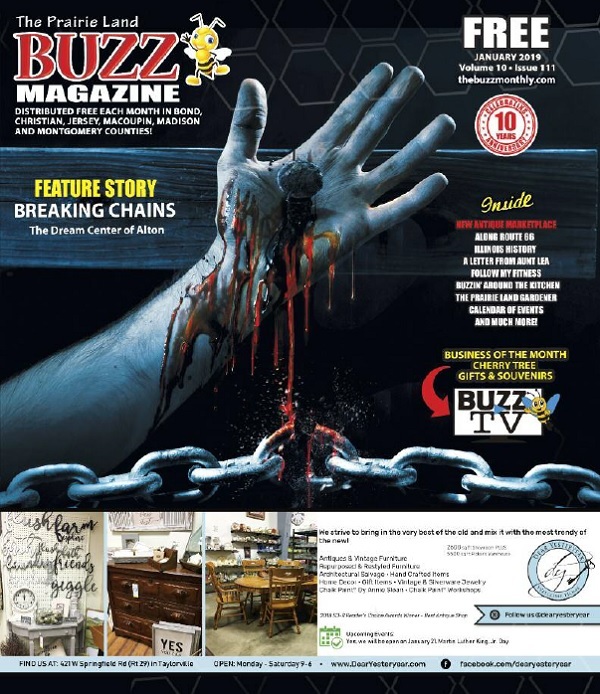 We are very pleased with how The Buzz has developed and grown over the last 10 years. We won’t lose focus of why we started this magazine – to give small businesses a low-cost place for advertising and to promote the pride and heritage of the area through positive and uplifting stories. But we can expand on that, grow our coverage, expand opportunities…that’s what this partnership is about for both The Buzz and RiverBender.com. 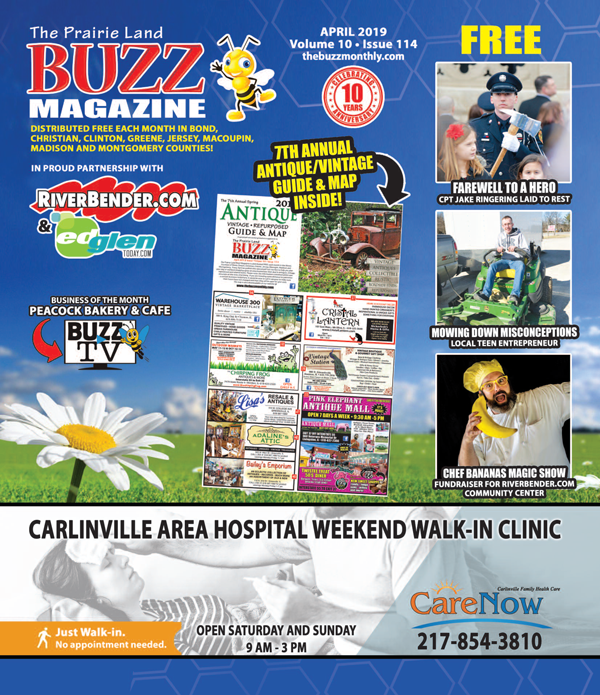 If you want to know more about advertising in The Buzz call 573-368-6639 or email thebuzzmonthly@yahoo.com. If you are looking to improve your online marketing efforts, email sales@riverbender.com or call 618-465-9850, ext. 231. 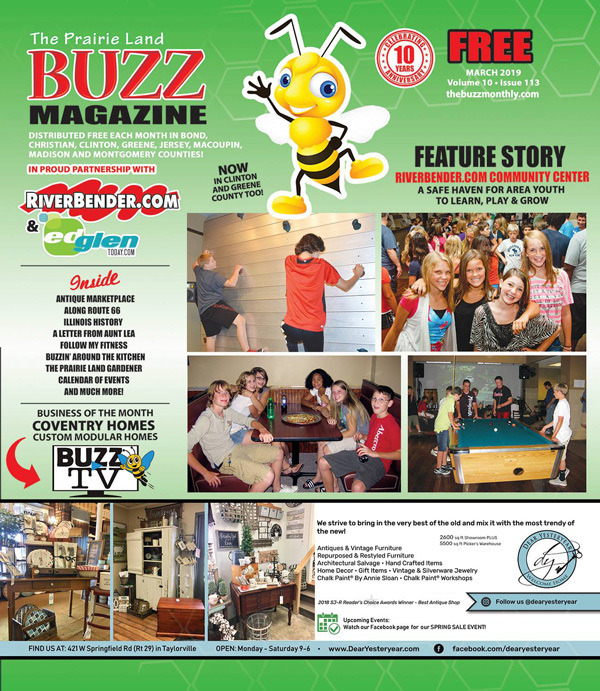 Of course, you may contact us through our websites as well, previously mentioned, thebuzzmonthly.com and RiverBender.com.